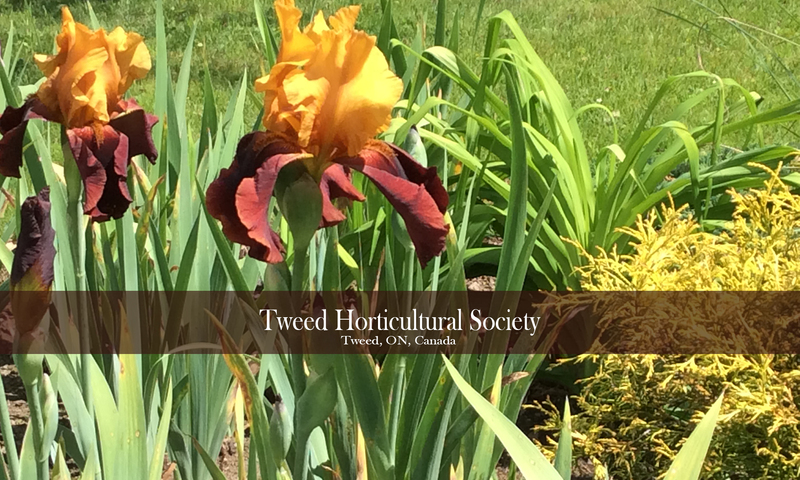 Tweed and District Horticultural Society will be sponsoring some exhibits in Horticulture this year for the Tweed Fair. The following is a list of entries and prizes. We have entries in adults and juniors. Tweed Fair is July 5th, 6th and 7th. All entries must be at the fair grounds on Friday July 5th and set up before noon. Judging starts at noon. Juniors can pick up their prize money at the white building at noon on Saturday. All arrangements must be made with plant material from your home garden. 1. An arrangement of flowers and greens. Maximum 18 inches in any direction including container. 2. A mixed arrangement of flowers and greens in a steel camping mug. 3. Miniature arrangement not to exceed 3 inches in any direction. 4. A planter of mixed annuals and/or perennials with a container 12 inches in diameter or larger. 5. A fairy garden planter with fairy accessories. 6. A hanging basket planted with a mix of annuals and trailing plants. 7. An arrangement of mixed evergreens and natural items like seed pods and birch bark. 8. Make a quilt square using flower heads placed flat to create a design in a 8 inch square pan. Foliage optional. 1. A picture of a sun made of seeds and/or dried legumes glued on a paper plate. 2. Two stems of flowers and foliage in a water bottle. 3. An animal creature made out of vegetables and/or fruit. 4. A variety of 3 different kinds of mosses collected from the woods and displayed on a plate. 5. A homemade fishing rod made out of a stick and string. 1. A stone painted with a design. Maximum of 6 inches. 2. A bouquet of mixed flowers in a container covered with birch bark. 3. A bristol board(or foam board) display of 4 different types of pine cones. Name the tree they are from and include a picture of what the tree looks like at maturity. 4. Using natural products like birch bark, seeds, cones, etc to make a picture in a shoe box lid. 5. Use a pine cone as a base to make an animal. 1. An all natural centre piece made with evergreens. Can include pine cones, seed heads, thistles, etc. 2. A picnic basket packed with treats for a kids picnic. 3. A piece of drift wood collected from the woods. Maximum size 20 inches. 4. A collection of 6 photos taken in the woods and mounted on bristol board or foam board. 5. A adirondack chair made out of wooden clothes pins.